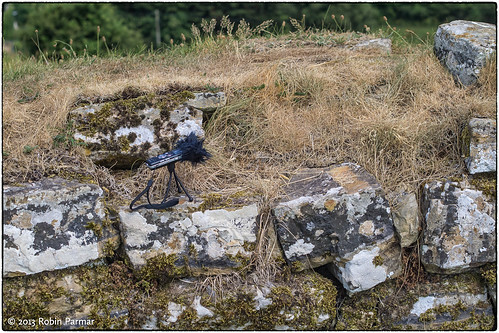 The last number of years have seen an enormous profusion of field recording artists, whose practice is variously labelled as "nature recording", "acoustic ecology", "phonography", and so on. Each term articulates a particular ideology, something I will address in detail in future writings. For now, I'd simply define these artists by the fact that they release untouched or slightly modified in situ recordings as aesthetic artefacts. Three significant developments have contributed to this burst of activity. First, increasingly portable and inexpensive audio recorders have lowered the practical and financial barriers to recording in the field. Second, the steady broadening of what is acceptable "music" has allowed listeners the latitude to appreciation what might previously have been considered "unwanted sound" (or noise). Third, an increased awareness of ecological concerns has thrown into sharp relief the usefulness of field recordings, both as evidence of environmental impact and as a lasting record of vanishing soundscapes. No matter what the cause, there are literally thousands of field recordings available to hear from the comfort of your own easy chair. Read on for my recommended resources. Gruenrekorder from Germany release CDs but provide a lot of free downloads. Tony Whitehead operates Very Quiet Records from Devon, UK. He has a handful of releases you can audition through BandCamp. Impulsive Habitat are a net label I think based in Colombia, though with a strong UK presence. Everything they release is free. Jez Riley French makes contact microphones for famous recordists like Chris Watson. (And less famous ones like, er, me.) He publishes CDs as Engraved Glass with most, if not all, of the material available to preview. Based in West Yorkshire, Hibernate produce CD and vinyl releases. Samples are on their website and a few full albums live on BandCamp. In addition there are two prolific artists I would single out. They both do a fair amount of post-processing but also use "untouched" field recordings. It's usually hard to tell the difference -- which is where their artistry lies. Slavek Kwi records as artificial memory trace and has tons of free material on SoundCloud, archive.org, etc. His CDs are strange and often humorous artefacts. Francisco López has released hundreds of albums, about 40 of which you can hear at SONM Archive. Finally, if you are interested in reading more about this "field" of sonic activity (the pun is inevitable), then check out The Field Reporter and the reviews at A Closer Listen. I will be releasing more such recordings myself, but in the meantime visit the sound page at Remanence for a good number of compositions and improvisations based on field recordings. Though they don't really fit this genre, I should also remind you of the four albums I have released on Stolen Mirror. By no means is this list complete; instead I wished to bring to your attention some thousands of hours of possible listening. Feel free to add to the list using the comments.